This is our selection of the best games for the month. Take a look at our picks for best Android, iOS and Windows Phone apps for May 2014. We have handpicked the very best new Android, iOS and Windows Phone games for the past month, and now it's time for a wrap-up. 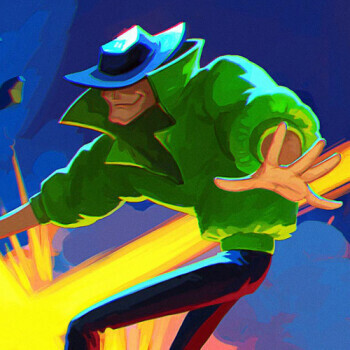 In May, it seems that the flood-gates of gaming developers opened and brought us tens of extremely well-made apps, and while there was no one single name to really stand out from the rest, we had multiple equally well-crafted games and a really tough time narrowing down our selection to just the finest. We start off with a simple, but extremely addictive game - TwoDots. 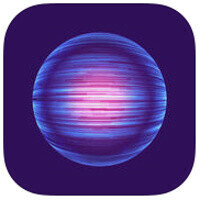 The game is an iOS exclusive (don’t worry, an Android version is coming soon), and it has taken the App Store by a storm. It starts easy, but becomes very challenging quickly, and you’d find yourself playing time and time again to solve its puzzles. Another game worth a separate mention is Pixel Press Floors that looks like just another platformer, but then you get to see its other side that allows you to actually build the world that you play and completely customize it, a possibility that we were hooked on. While these two are iOS-exclusive titles, we have plenty of equally great Android games this month that you should not miss. The third ecosystem, Windows Phone, is notably lacking behind this month, as little of that tidal wave of great new iOS / Android games made it into the Marketplace. Still, we picked a handful of good titles for those rocking a Lumia, or another WP device. 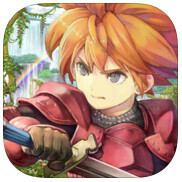 With no further ado, take a look at our absolute favorite Android, iOS and Windows Phone titles right below, and let us know what you have been playing these days! 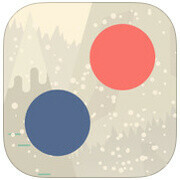 A captivating and challenging connect-the-dots game, TwoDots brings 85 levels with increasing difficulties that will force you to think as you uncov new features along the way. Chillingo’s newest game, Striker Soccer 2, comes just in time for the World Cup in Brazil, and it brings a simple cartoony interface, and a very well balanced and fun gameplay. It sins hugely with in-app purchases, but if you’re willing to overlook these shortcomings, it’s a lot of fun. Pixel Press Floors is an extremely captivating idea - a platformer at heart, it allows you to not just play, but also create the world and take over the role of a game (map) designer. Worms is a name that speaks for itself. In the third iteration of the strategical worm-squad-against-worm-squad game, you have amazing asynchronous multiplayer, a new card-mode, and brand new class system for the worms. Get the balls through the glass by opening the gate. As all games that sound simple, 100 Balls is extremely hard to master and reach the hard scores, and that’s where its charm is. 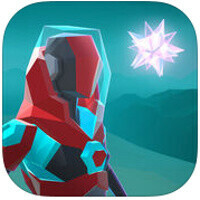 You wouldn’t be able to tell by just the screenshots, but dEXTRIS is a brilliantly executed vertically scrolling game where you have to avoid obstacles. It’s very atmospheric, with perfectly fluid motion, and is a great time killer. Twin Robots is a jump-and-run game (with puzzles) set in a robotized futuristic world, where you do it all to rescue your twin robot and find the way out of each level together. Table Tennis Touch is a very realistic table tennis game that will please most those who wish to put in time and effort to master a game. It’s easy in the beginning (and has fun arcade single-player challenges), but its difficulty quickly goes up, and as you get to play with other opponents, it becomes almost as difficult to master as real table tennis. Overkill Mafia is a classic pick and shoot arcade shooter with a strong mafia stylization and gripping black-and-white comics graphics. Looking like a comic book that you can play, SXPD comes with six chapters and a great story, but it is the unique black and white gameplay that grabs the heart. A world of 3D labyrints and one cute robot to navigate around it, trying to avoid obstacles along the way. A retro-futuristic side-scrolling platformer, Atom Run has a captivating atmosphere and nice gameplay where you jump over all sorts of mechanical parts, push and avoid them. The first game to tell the story of just one of the infamous nuns from Nun Attack, Yuki’s Silent Quest has you fighting with that Japanese fan of Yuki against the invaders who have raided her village. Your goal? Repair the village, but the quest is not as easy as it might look. A strangely addictive word game, Wordbase is simple, but the option to challenge your friends and its nice interface make it a pleasure to play. Another SquareEnix classic, Dragon Quest VIII comes with its retro-looking, but incredibly rich world for a price of the whopping $19.99. 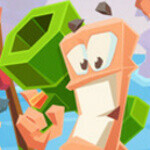 JoyJoy is a twin-stick shooter that brings an explosion of colors and a dynamic gameplay. Fuzzball and friends rescue the Bombkittens across a massive world with nearly 200 levels. Royal Revolt 2 is a 3D action and strategy game where you defend your castle and build a deadly maze for your enemies. It’s as straightforward as it gets - Old School Racer 2 is indeed an old-school racing game. lol, glad to see windows phone has "some" apps. man smartphone games are still terrible..maybe after 5-6 years from now there is going to be no diference between ps and mobile games.. Yes, they remind me of games I played when I was a kid sometimes, but still they're good enough now to play when you're away and have nothing else in your hands ..
No, they will never catch up. They don't need to. After all they are just quickly played in a bus for example. Well depends on your phone and its processor! I can say that Real Racing 3 is almost on par with Gran Turismo 5 on PS3 in terms of handling, graphics, engine and gameplay! Was pleasantly surprised by it! GTA as well are awesome compared to the PS2! 2GB RAM and Adreno 320+ GPU does magic! I smell bullshi*. I suggest you to play GT5 (or even an older one) before posting stuff like that. I just tried Real Racing 3 yesterday. The graphics sure were impressive for a mobile game, but still not even close to GT5 or 6. But the ridiculous part of your comment is that Real Racing's physics and handling are almost on par with GT5... The cars behave super unrealistically. If you turn traction control off for example, it just drifts like crazy even on low speeds. And you cannot really control the drift. Also the cars don't under steer at all, even if the cars would in real life. A lot. Even Gran Turismo 3 has MUCH better physics.And the frame rate was under 30. Even with SD801 and 3GB RAM. Well I'm a huge fan of the Gran Turismo games! I'm a pro and I've played all of them, but I don't like the fact that there are 10 or more variations of Skylines! Lol! I guess you did not like playing GT with all assistance, traction off/0, manual! Or if I'm incorrect, then my offence! What I meant for the handling was it's quite there, close to console quality! To avoid drifts, u need to brake hard before taking the corner and continue braking a little simultaneously while taking the corner! It plays perfectly on my G Pad with Adreno 320! No bugs or lags whatsoever! It's quite there with GT4 or GT5 as u need to be precise with driving and gives u a challenge worth it for a good game unlike others where u play for 2 hours and then delete! Chill man! I didn't mean to offend you in any case! GTA SA, Max payne, BG, Bard Tale and etc. was on PC first. 250,000 plus apps are definitely "some". No. I want normal games. Normal apps. Not a deprived eco system. There was just some slight lag on his S5. WP has tons of apps you will have to look hard to find popular apps and games that is not on iOS and Android but not on WP and for the very few that isn't there third party client apps exists. WP doesn't have an app problem, that was in the distant pass. Vine , path, instagram etc are all there. Haters just want to keep WP down. Using hashtags on a tech site? What has Android done to you? He though, he was on Instagram.